Katie joined the Fund in March 2013 and is responsible for the coordination of the Fund’s annual payroll audits and conducts the quarterly reporting and analysis of payrolls by members. She is also involved in the Fund’s accounting processing, computer software systems and the underwriting of the Alabama and Cross Border renewals for current Fund Members. 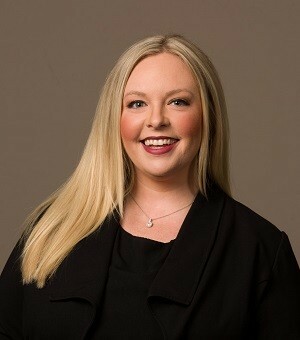 Prior to the Fund, Katie attended Auburn University Montgomery, and she worked for a State Farm insurance agency with various responsibilities, including meeting with clients to review policies, cross selling services to clients, processing policy changes, filing claims and developing new client opportunities through sales contacts. She holds her Property and Casualty License. In her spare time, she enjoys spending time with her family and friends, traveling, being outdoors and supporting and cheering for her Auburn University Tigers.